Recently, my post Fool and Knave! Hebrews 1 in Codex Vaticanus was the subject of part of a video broadcast by apologist James White (whom I shall call Dr. White in this post, since he accorded me the same title in his broadcast). His main point seemed to be that it is possible for other people – particularly competitors or opponents – to misinterpret, reframe, or selectively edit one’s statements so as to misrepresent their intention. Of course I agree with Dr. White about that. Jesus Himself had His statements misused by those who wished to oppose Him. However, along the way, some things were said which call for clarification, so I have cobbled together this response. ● 25:50 – Just a little quibble: Dr. White called the note in Codex Vaticanus alongside Hebrews 1:3 a colophon; however, a colophon is technically something else – more like a note by a copyist (rather than a later corrector) about when and where and by whom the manuscript was produced. The note in Codex B alongside Hebrews 1:3 is just a note. ● 27:30 – In the course of offering some thoughts about a variant-unit in Hebrews 1:8, Dr. White described me as a “Byzantine Priority-type textual critical scholar;” however, the term “Byzantine Priority” refers to a text-critical approach which favors Byzantine readings all the time, and that is not my view. (I adopt και κριτὴς in James 4:12, for example.) My approach is Equitable Eclecticism, in which readings with very strong intrinsic evidence in their favor are capable of being adopted instead of rival readings with much more abundant attestation. I would be interested to know the identity of these “other people” who reject “and ever” in Hebrews 1:8. For it is not just Byzantine Prioritists who adopt the longer reading there: it is adopted in the Nestle-Aland compilation, and the UBS Greek New Testament accepts the longer reading without drawing attention to the shorter reading’s existence. Michael Holmes (editor of the SBL-GNT) rejected Codex Vaticanus’ reading here too. As far as I can tell, one has to reach back over a century, to Hort (of course) to find any editor willing to even bracket του αἰωνος; the inclusion of the words is reflected not only in the KJV and NKJV but also in the NIV, ESV, CSB, NLT, NRSV, and NASB. 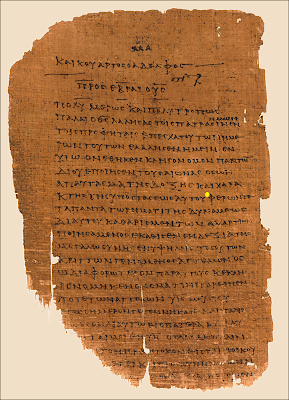 Via his insistence that “Both of these have to be balanced” – both a reading that has massive and ancient and widespread support, and a reading with extremely limited support – Dr. White has illustrated a problem with the approach that has dominated the field of New Testament textual criticism for far too long: it is often possible, if one is sufficiently creative, to imagine reasons to prefer readings with minimal external support. To restate: reasoned eclecticism, as it is currently practiced, opens a wide door to the acceptance of quirk-readings. That is why the NIV currently has a reading in Mark 1:41 that is supported by only one Greek manuscript. This is why the TNIV removed “Son of God” from Mark 1:1. That is why Bart Ehrman argues for the reading “apart from God” in Hebrews 2:9. That is why there is no reference to fasting in the text of Mark 9:29 in the ESV. That is why, as Dr. White himself has observed, although the reading “not yet” in John 7:8 is supported by “an awesome array of witnesses” (including not only the Byzantine Text but also early papyri), the Nestle-Aland/UBS compilation reads, instead, “not.” And that is why the editors of the latest edition of the Nestle-Aland compilation took the next step in Second Peter 3:10: they adopted a reading for which the editors created what was, to them, a plausible case, even though it is found in no Greek manuscripts. ● 30:00 – Dr. White stated that he has said that “If you apply the same standards of hermeneutics and exegesis to the most Alexandrian text, and the most Byzantine text, you’re not going to come up with a different Christian faith.” However, were Dr. White to undertake that task, I suspect that he would end up with two different Bibliologies – one in which the text of the New Testament is errant, and another in which the text of the New Testament is inerrant. Dr. White proceeded to propose that what appeared to scribes to be an error is actually a conventional way of referring to a conflated citation. Dr. White and others have made similar arguments regarding not only Mark 1:2, but also Matthew 27:9, where two prophecies with similar themes are referenced using the name of only one. However, does such reasoning work at Matthew 13:35? Codex Sinaiticus – one of the two fourth-century manuscripts upon which the Nestle-Aland compilers lean most heavily and most often – identifies the prophet cited in Matthew 13:35 as Isaiah. Problem: the passage quoted there is Psalm 78:2, which was written by Asaph, not by Isaiah. Eberhard Nestle (the first editor of what later became the Nestle-Aland compilation) considered Sinaiticus’ reading “certainly genuine.” And if we were to apply the reasoning that Dr. White used to justify adopting “Isaiah the prophet” at Mark 1:2, how could we say otherwise? It is much easier (using Dr. White’s reasoning) to understand why a scribe would try to help Matthew out, by removing the error, than to figure out why someone would put Isaiah’s name where it clearly does not belong. Perhaps another example will be instructive. The Alexandrian text, in Matthew 27:49, includes a statement that Jesus was struck with a spear before He died, which flatly contradicts the testimony in John 19:30-35. (Does Dr. White think that this reading, too, has to be balanced?) An argument could be made that this must be the original reading, on the grounds that it is the more difficult reading. Without addressing the merits or defects of such a case, can it be denied that if one were to conclude that the errant Alexandrian reading in Matthew 27:49 were original, it would yield a different Bibliology than the non-problematic Byzantine reading? More frequently, what is at stake is not a Christian doctrine, but the ability of a particular passage to teach what it originally taught. And although, for the most part, Dr. White and I are saying the same thing about the ability of both the Nestle-Aland compilation and the Byzantine text (and some independent compilations) to adequately express Christian doctrine, we advocate two different approaches at this point. Dr. White seems content, when encountering two rival variants, to say, “Both of those have to be balanced,” even when one has extremely meager external support, as long as a scenario can be imagined in which scribes created the reading that has massive and ancient support – whereas I would argue that quirk-readings should be treated as quirk-readings, and be rejected, rather than share the page with the inspired text. Let’s look at three more examples of quirk-readings, all from the Gospel of Mark. ● In Mark 10:50, in the account about the healing of blind Bartimaeus, Bartimaeus is said to throw aside his cloak as he jumps up, obeying Christ’s call. In a respectably old Syriac manuscript, though, the text says that Bartimaeus, rather than putting down his cloak, took up his cloak. A case can be imagined for the minority reading, the idea being that the story was tweaked by scribes who desired to turn Bartimaeus’ experience into an allegorical picture of repentance, in which the garments stained with sin are laid aside. Should both of these readings therefore be perpetually retained, one in the text, and one in the margin, in our Greek compilations and in English versions, assuring that nobody will be confident about what Bartimaeus did with his cloak? Dr. White favored the Alexandrian reading of Mark 10:24 when he wrote The King James Only Controversy. He reasoned that “It is easier to understand how the phrase could be added than to understand why it would be deleted.” Is that so? When I look at the Greek text – Τέκνα, πως δύσκολόν ἐστιν τοὺς πεποιθότας ἐπὶ χρήμασιν εἰς τὴν βασιλείαν του Θεου εἰσελθειν – it is very easy to see how the phrase would be deleted: by simple scribal negligence, when a copyist’s line of sight drifted from the letters –ιν at the end of the word ἐστιν to the same letters at the end of the word χρήμασιν, thus accidentally skipping the words in between. The longer reading, in this case, accounts for the origin of the shorter reading, and does so rather elegantly. However, this is both wishful thinking – for there is not an English translation in existence which gives readers all the information available – and wrong. Such generosity toward minority-readings inevitably adulterates the force of the original reading, so as to cause readers to constantly wonder, “Where is the Word of God: in the text, or in the footnote?” Dr. White seems perfectly willing to reply that it doesn’t matter, since the same teachings emanate from the New Testament as a whole no matter which reading is adopted in that particular passage. However, such an approach compels the original text in all those passages to share its authority with a scribal corruption. ● A third example: in Mark 10:19, the words “Do not defraud” are not in Codex Vaticanus, and some other uncial manuscripts concur. This is not hard to explain: the same mechanism that caused the loss of four words in Mark 10:24 caused the loss of two words here, when a copyist’s line of sight drifted from the letters –ρήσης at the end of μὴ ψευδομαρτυρήσης to the same letters at the end of μὴ ἀποστερήσης. Is there really a need to inform Bible-readers about every passage where the copyists of Sinaiticus and Vaticanus made mistakes? Should we clamor for more trivia in Bible-footnotes, so as to allow – nay, to cause – more glitch-readings to adulterate the authority of the original text? Granting that we could afford to do so, I submit that the responsibility of textual critics is, rather, in the opposite direction: the effects of scribal corruptions should be removed from the base-text, and expressions of indecision should be resorted to only in cases where the evidence is extremely closely contested. I hope that Dr. White, upon further reflection, will agree. But the example you cite to counter that is about a reading that is not "the most Alexandrian," at least from the way you describe the evidence. It's just a reading that crops up in Sinaiticus, and if it also does elsewhere, then I infer from the way you describe the situation that it's still not the reading of the Alexandrian text-type as a whole. It's such a strange quote, because Daniel Wallace would say that the textual variants have no bearing on doctrine or the Christian faith. ER: "But the example you cite to counter that is about a reading that is not "the most Alexandrian," at least from the way you describe the evidence." I antocipate that apologists would handle Mt. 1:7 and 1:10 by saying that Matthew simply used alternative spellings (basically parroting Metzger, even though Metzger flatly called them errors); Luke 4:44 as mere vagueness on Luke's part -- i.e., having in view an ethnic concept rather than a political one -- and Mark 6:22 . . . well, yes; that would be another good example. The NET went with that "despite its historical difficulties" and no one seems too upset about it. Which may explain why DTS professor Wallace considers inerrancy a "peripheral" doctrine, while DTS' website declares inerrancy to be an essential of some sort.